Choosing the right go-to-market sales model for your SaaS startup can be a make it or break it decision. Choose right and you grow smoothly from seed funding to A round to B round and beyond. Choose wrong and you spend precious cycles chasing your tail as cash runs out. 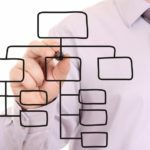 While most B2B SaaS startups that offer recurring revenue subscriptions gravitate toward a transactional sales model characterized by inbound marketing and inside sales, this is not always the case as pointed out in this recent article entitled the Debunking the SaaS Sales Model Myth by my esteemed colleague Jeff Kaplan. But, how do you go about choosing the right SaaS sales model for your particular SaaS startup? What’s your average selling price? I don’t know any single statistic that provides more insight on a SaaS startup, or any business for that matter, than average selling price (ASP). Average selling price is the intersection of supply and demand and as such it measures external factors like customer value and competitiveness, while it constrains operational metrics like costs, volume and risk. Your ASP places a ceiling on your customer acquisition cost, which in turn limits your SaaS sales model options. If your ASP is $500 annual recurring revenue (ARR), then you are unlikely to be able to fund a direct sales force, because your sales rep would need to sell 1000 deals per year to come close to covering your customer acquisition costs. Whereas if your ASP is $500,000 ARR you only need to close a single deal, so you can afford to fly out and wine and dine your prospect to your hearts content. Price has an inverse relationship to deal volume. For example, achieving $10M in total revenue with a $1K ASP requires 10,000 customers, whereas a $10K ASP only requires 1,000 customers. The volume requirement implied by ASP flows back through the sales process to put pressure on every upstream metric. Low ASPs require large target markets, more leads, more pipeline, higher conversion rates, shorter sales cycles, and so on to deliver a high volume of customers. High volume also requires more customer self-service, more automation and less labor, because labor is expensive, slow and has poor economies-of-scale. Conversely, price has a direct relationship to risk. High ASP means high risk. The more risk, the more your customers will desire a personal relationship. It is the rare customer that will part with $50,000 through a self-service portal (although the Google AdWords customer does come to mind). Lacking the brand security of an established player like Google or Salesforce.com, a SaaS startup must put a human face on its service to overcome this fear. Luckily, high ASP pays for the sales and support labor required to create the personal relationship. How difficult is it for your customer to buy your product? Is your SaaS offering easy to find, easy to understand, easy to try, easy to buy and easy to use? Every hurdle that stands between your product and your customer reduces your sales velocity, decreases close rates, and increases your costs. The more complex the purchase, the more help the prospect will need. And, the fewer choices you will have regarding your SaaS sales model. You can make every effort to eliminate complexity, but at any given time the amount remaining must be surmounted by your SaaS sales model. 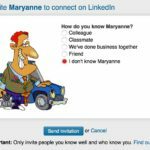 For example, a new social collaboration SaaS may appear so foreign that prospects have difficulty understanding what it is, let alone what it can do for them. Onboarding a SaaS ERP might require the customer to alter internal business processes before any value is realized. In both cases, it will fall to your SaaS sales model to help prospects navigate the complexity. 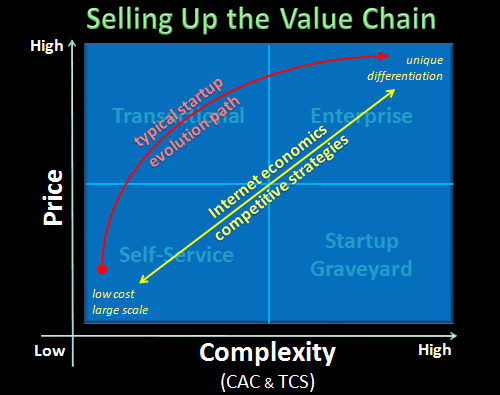 Price and complexity define a strategic spectrum of sales approaches for SaaS startups that gravitate strongly toward three distinct SaaS sales models: self-service, transactional and enterprise. 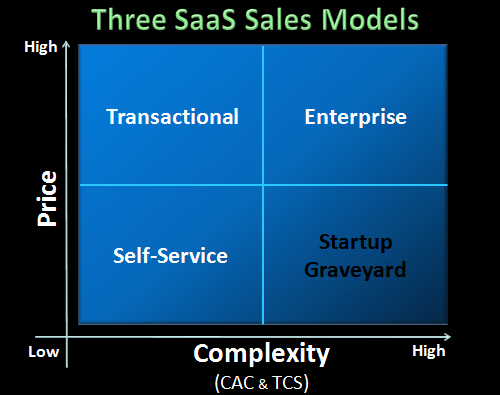 While a mature SaaS business may employ all three, a SaaS startup will have the resources to master only one. However, this choice is not always straightforward when you are entering or creating a new market, because you must first find balance between price and complexity. Price and complexity are natural adversaries. Higher complexity means higher costs, thus requiring higher ASP. But just because your product is difficult to buy doesn’t mean your prospect is willing to pay more for it. Getting the right alignment between price and complexity means ensuring the value customers place on your product always exceeds the price, time, fear and frustration they must pay. Once you achieve the right balance for your market, your choice of SaaS sales model will be obvious. Fail to find it, and you end up in the Startup Graveyard. Marketing: Full revenue responsibility, creating awareness, educational content and automation capable of driving business through the entire purchase process from awareness to close. Support: Provides automation and tools for easy on-boarding, plus templates and educational content that allow customers to resolve any issues they encounter on their own. Sales: Inside sales reps supported by online content and automation, tools, training, incentives and metrics that enable high efficiency and many transactions per rep.
Marketing: Feeds highly qualified leads to the sales team to build pipeline and improves efficiency by removing roadblocks through educational content and automation that drive complexity out of the purchase. Support: Inside support reps that meet a range of SLAs from limited pre-sale support through premium post-sale support with tools, training and metrics that enable high efficiency and many transactions per rep, complemented by customer self-service tools, templates and educational content. Sales:Territory sales reps focused on a narrow set of target prospects directly supported by product marketing and sales engineering resources at a deal level. Marketing:High-end marketing that facilitates brand awareness, education, relationship building and trust, complemented by direct support of the sales team, including telemarketing speeding access to target prospects and detailed sales tools such as product roadmaps, ROI calculators, etc. Support:High touch support up to onsite issue resolution complemented by educational tools and training tailored to the specific needs of individual customers. Regardless of your price, your SaaS sales model must provide sufficient support to enable prospects to navigate the complexity of the purchase or you will not close business. You can give your product away in a Freemium price scheme, but if the purchase is too complex, you can still find yourself hand-holding every single free customer akin to an enterprise sale. You just can’t give away complex software. Only customers that are willing to pay an exorbitant price for your hugely valuable service will also pay exorbitant amounts of time, fear and frustration to wade through the complexity of getting it. 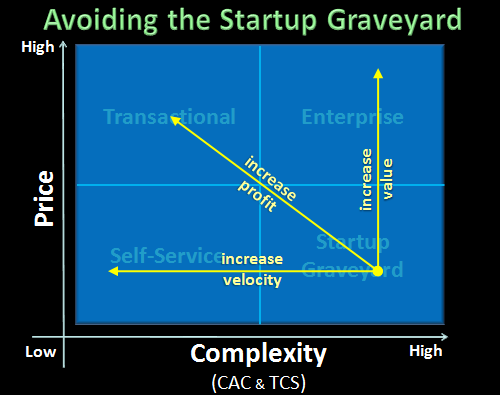 When complexity forces you into a SaaS sales model where the costs exceed your ASP, your business is destined for the SaaS Startup Graveyard. SaaS startups that combine low price and high complexity end up in the SaaS Startup Graveyard. 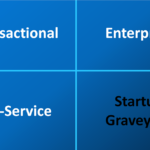 There are three strategies for avoiding the SaaS Startup Graveyard, all of which amount to aligning price and complexity, so you can gravitate safely toward a viable SaaS sales model. Increase Velocity: The goal of this strategy is to reach a customer self-service SaaS sales model by holding your price point low and driving out complexity to build volume rapidly. To succeed at this strategy, you business must be capable of overachieving on both SaaS Do #1 Choose a Large Market and SaaS Do #3 Accelerate Organic Growth, and you must absolutely avoid SaaS Don’t #3 Launch without Online Trial. Increase Value: The goal of this strategy is to reach an enterprise SaaS sales model by adding value through product innovation and restricting your market to target prospects that see the most value in your offering. To succeed at this strategy, you business must innovate as in SaaS Do #6 Reach Across the Firewall without falling prey to SaaS Don’t #1 Chase Elephants that ruin your economies-of-scale, and preserve the core SaaS cost advantage through SaaS Do #8 Enable Mass Customization. Increase Profit: The goal of this strategy is to reach a transactional SaaS sales model by finding balance between ASP and CAC (customer acquisition cost) through operational efficiency and focus on the most profitable market segments. To succeed at this strategy, you should follow SaaS Do #4 – Craft a Compelling Story to attract only the prospects you really want to sell to, and then make it easy for them to find you by SaaS Do #2 Create a Hub on the Web and get them through the purchase efficiently by SaaS Do #5 – Build the Business into the Product. 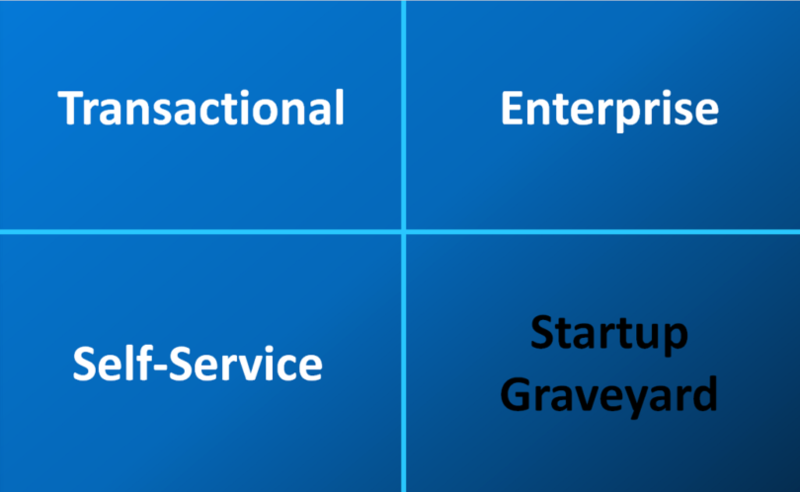 The SaaS startup holy grail lies on the opposite end of the spectrum from the SaaS Startup Graveyard. High ASP combined with low complexity characterizes the most wildly successful SaaS offerings like Google Adwords and Amazon Web Services (cloud in this case), where customers routinely write six figure checks with the most minimal amount of personal interaction with sales and support reps.
As a SaaS startup evolves into a mature SaaS business, growth aspirations naturally lead to the desire to expand market reach to new prospects and to expand product footprint with current customers. The SaaS startup that enters the market with a customer self-service SaaS sales model represents the origin of a natural evolutionary path. The theory is straightforward. The nimble SaaS startup that has built a large self-service customer franchise for a super simple product starts pumping in new features, develops modular pricing schemes, adds a few sales reps and sets off on a quest to increase ASP from $10MRR to $100MRR to $1000MRR to $10,000MRR and beyond! faces the challenge of mastering multiple competitive strategies. However, the straightforward tactics belie the tectonic strategic, operational and cultural shifts required for success. Underlying the simplicity of the customer self-service model is a mass market, low cost competitive strategy. Whereas, the enterprise sales model assumes a highly differentiated product, usually characterized by cutting-edge Internet-enabled innovation. 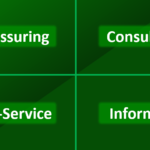 Maintaining the simplicity of the customer self-service model as a successful SaaS startup introduces more complex products and purchase processes in close proximity to the originally simple, self-service product and purchase process requires careful planning and execution. Should the products be separate offerings or modules of a single offering? Should transactional sales arise by skimming the cream of customer self-service prospects, or should entirely new lead generation vehicles be put in place. Are enterprise customers just transactional customers who are all grown up, or an entirely different species? It is often said that it is easier to move up market than down market. This is probably true, but it is NOT easy to move up without inadvertently abandoning the down. If you liked this post, then you’ll love the eBook of the complete SaaS sales model series. And if you like it, please share it! if average sales price is 15,000 USD annually, would you say that falls under the transactional sales category? This is a really great article…love it. In our early days, we found with our rostering software RosterElf saas that its really hard to work out the mix between focusing on direct sales and spending quiet time working out how to build a low cost scalable business. Its temping to keep shareholders happy hitting the road but can find that whilst growing revenue its not helping build a scalable business…Its a balance but I believe you need to make sure your spending enough time on the later if you want to build a real saas model. SaaS Sales Model and Organization Strategy – the eBook! Copyright © 2007-2017 by Joel York. All Rights Reserved.